Destination Health is a new HKS Stories series that explores the impact and role that design and design thinking has on our health and well-being. We launch the series with an introduction by one of HKS’ health practice leaders, Shannon Kraus, who shares his thoughts on health’s future state: partnering with communities and health systems to leverage design, technology and empathy—to keep people out of hospitals. It’s all about well-being, prevention, and looking out for one another. A recent article in the Wall Street Journal addressing the topic seemed to describe what’s happening in 2018. We’re already seeing progressive health systems partnering in housing for the chronically homeless, treating sick people in their homes and developing programs focused on the social and economic factors that impact our well-being—education, addiction, food insecurity, family and community ecosystems, violence and mental health—all in an effort to keep people from needing hospital-level intervention. So, if by future, we mean in the next couple of years, the article is spot on. But it got me thinking: what is the future state of health 20 years from now? I believe that the exponential pace of innovation, research and technology over the next few decades suggest that the future of healthcare will make the hospital far less relevant as the cornerstone of our health and health systems. The pressures of population growth, urbanization, climate change, income disparity and technology are merging and colliding in ways the world has never seen, all at a dizzying pace. Our future state of health must respond to this panoply if we’re going to understand what a hospital and our approach to health can and should be. What happens when we broaden the term ‘health’ beyond just treating the sick? What if we consider health to be more holistic and consider education, food, the arts, activity, faith and security as things all contributing to our well-being? If we reconstruct the term ‘health,’ how does it impact the role of hospitals? 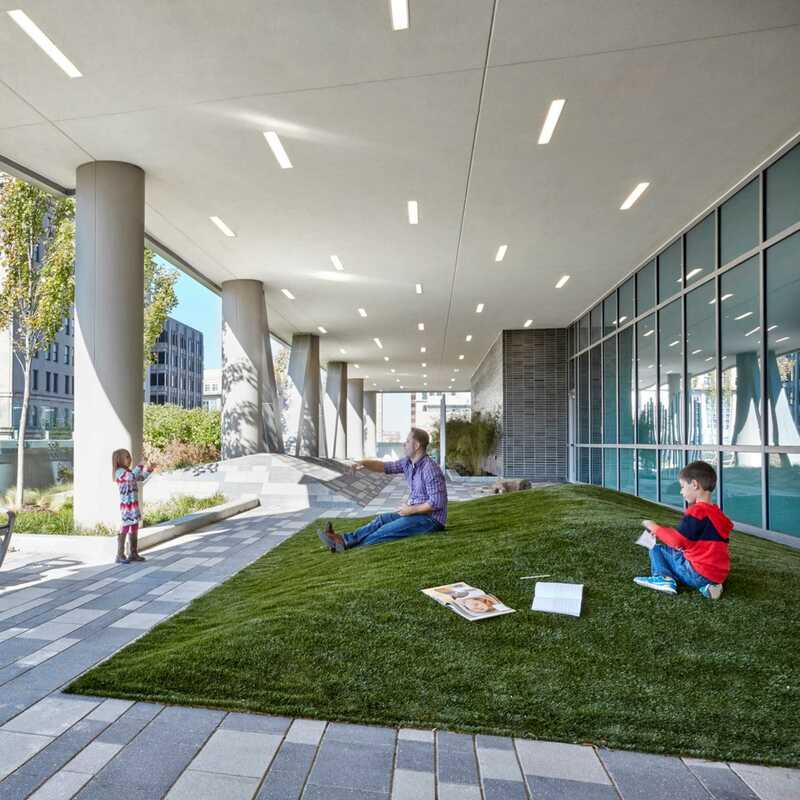 How can hospitals be a source of social impact through design? So, what is the hospital of the future that will truly address these changes and this pace of change? I will confess that hospitals in some form will likely continue to exist, albeit more expensive to operate because the sickest among us will always require specialized and real-time advanced care. However, I believe the conversation really should focus on the health system as a community partner that values the holistic well-being of its citizens by investing in innovative programs and services to realize that vision. I see a future that requires us to rethink health before it’s a health issue. Do we have parks to play in? Can our kids walk safely to school? What is the quality of housing and availability of healthy food? The biggest impact in cost and mortality in our health system today is chronic preventable diseases, which are all influenced by these issues. As we get better at preventative medicine, we will greatly decrease the demand on hospitals. This requires we rethink how and where we impact health. The future state of healthcare must consider whole-person health and our full spectrum of needs. Health must be embedded in how we live, work and play. It leverages technology and big data to inform design to help shape healthy behaviors and lifestyles. It builds community—and enhances our resiliency. The projects HKS is designing today—Promedica in Toledo, Ohio is one shining example of an evolving health system—are those in which we’re working with community partners and health providers to address the chronic diseases that impact an outsized proportion of the population. The health system of the future is less as an institution for the sick, and more central as a catalyst for community renewal, both economically and as a change agent in creating healthier populations. As an architect, am I worried about there being fewer hospitals to design or health systems putting themselves out of business? Not in the least bit. Our health systems have the potential to become community anchors in which actual hospital care is just one of many services they provide. 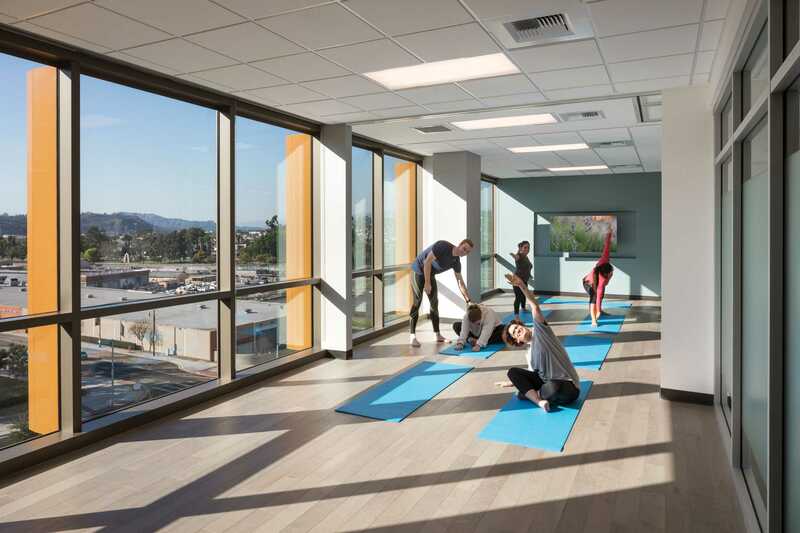 There is far more potential in expanding the health universe in all its forms and in fact, in all our project types—not just healthcare facilities. We haven’t begun to scratch the surface in helping shape what that looks like; and I say with confidence that what’s coming will have far more impact. It is only those who choose to cling to perfecting the status quo that need fear the future. For the innovative among us, the future of health could be the germ theory of our time—something that transforms how we think about place, architecture and its connection to human health, much the way the discovery of germs transformed how medicine is delivered today. Let’s move past the hospital of the future and focus instead on the future of health.